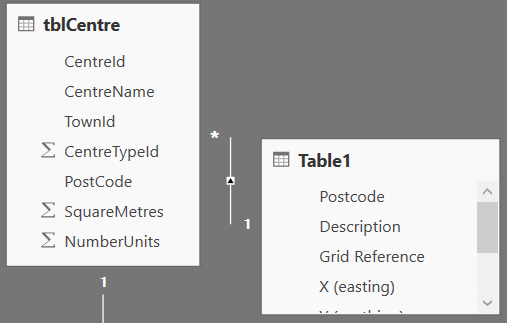 Anyone who has tried to get a meaningful non-US map out of Power BI Desktop will know that it's often not straightforward! This blog shows you how to overcome some of the issues, including geocoding data, getting latitude and longitude settings and changing cross filter settings in relationships. Each purchase is tied to a shopping centre, and we know the postcodes for these. One way to get latitude and longitude data from UK postcodes is to paste the data into a suitable website. Although the website used here is specific to UK postcodes, I'm sure a similar service would exist to convert US zip codes, Indian postal codes, South African postal codes and any other internationally recognised geographical identifier. 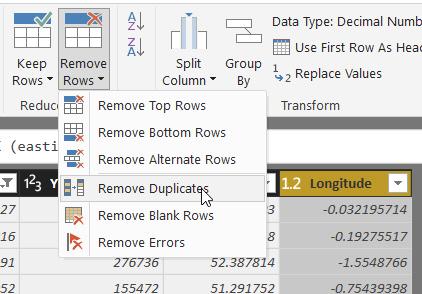 Select the column of data, and right-click on it to copy it. 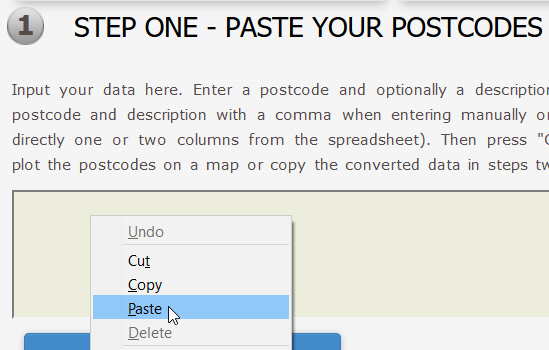 Paste the postcodes into the input bit of the form. For this site, click on the Convert Postcodes button. I'm not sure why some of the postcodes aren't being recognised - time to check that all my shopping centres have correct postcodes, perhaps. 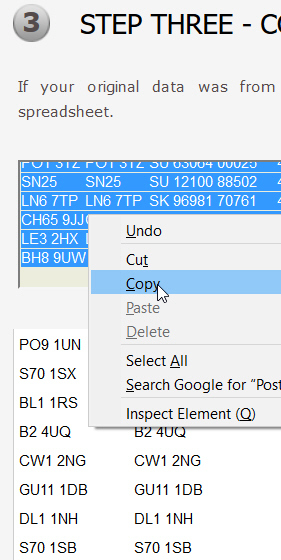 Click in the converted data list, and choose to copy this. 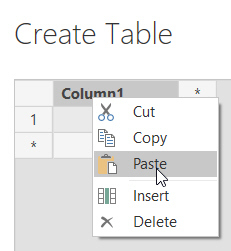 Click on the Enter Data button to create a new table. Right-click on the data grid and choose to paste. The start of the table of converted data. 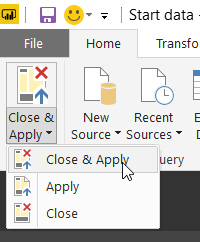 Click on the Edit button to load the query into Query Editor. Lines with problems show null values in various columns. 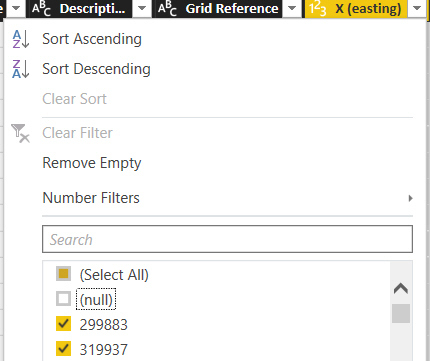 Untick the null box to remove unconverted rows. 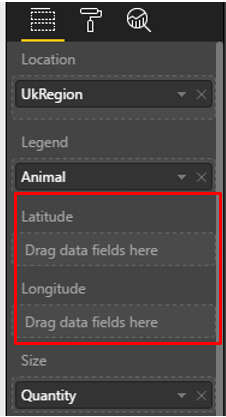 Select the Longitude, Latitude or PostCode column (they'll all contain the same duplicates, so it doesn't matter which one you choose) and choose the option shown. 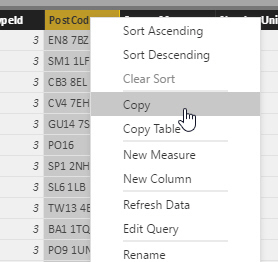 Choose to apply all your changes and load this table of postcodes back into your data model. The relationship is created automatically. Unfortunately, the relationship created won't be enough to get a working map, as you'll see in the next (and final) part of this blog.